Just another Bluetooth transceiver, but it is deceiving and creative!! 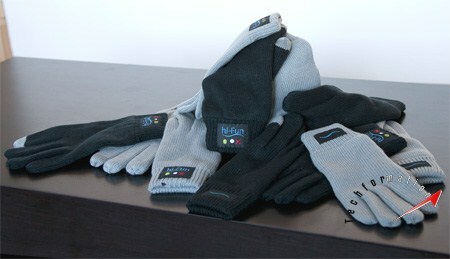 These gloves can be used to communicate with your dear ones via mobile phone. Till now we have Bluetooth transceivers which can be worn to our ears and can talk on the phone, keeping the phone in our pocket or purse. These hand gloves works the same but these are worn to our hands. These gloves are equipped with a microphone, buttons, built-in transceiver and a speaker. 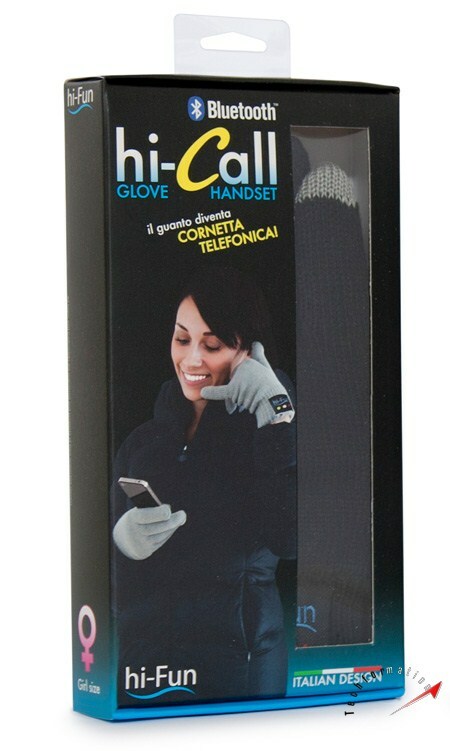 Developed by Italian company Hi-Fun, these capacitive fabric gloves are named as Hi-Call. They work in the operating range of 12 meters and works with almost every phone having Bluetooth. Since they are made of capacitive fabric, we can operate touch screen phones seamlessly by wearing them. Lastly, they can be dry cleaned! !